The Global Volcanism Program has no activity reports for Fukue. The Global Volcanism Program has no Weekly Reports available for Fukue. The Global Volcanism Program has no Bulletin Reports available for Fukue. A group of small olivine basaltic shield volcanoes and cinder cones lies at the eastern end of Fukuejima in the Goto Islands off the western coast of Kyushu. Activity at the Fukue volcano group began about 900,000 years ago, and the latest activity took place about 2000-3000 years ago (Nakano et al., 2001-). The volcanic field, whose high point (Onidake cinder cone) is only 315 m above sea level, forms peninsulas at the eastern and SE tips of Fukue Island as well as several smaller islands to the SE. Japan Meteorological Agency, 2003. Volcanoes--monitoring and disaster reduction. Tokyo: Japan Meteorological Agency, 32 p (in Japanese). There is no Deformation History data available for Fukue. There is no Emissions History data available for Fukue. Sparsely vegetated On-dake cinder cone rises to the NW above Shiozura Bay. 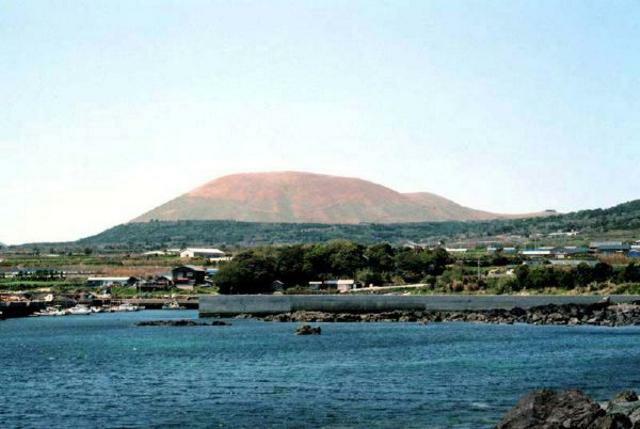 The 317-m-high cinder cone is the highest of a group of small basaltic shield volcanoes and cinder cones on the eastern side of Fukue Island, off the western coast of Kyushu. Activity at the Fukue volcano group began about 900,000 years ago, and the latest activity took place about 2000-3000 years ago. There are no samples for Fukue in the Smithsonian's NMNH Department of Mineral Sciences Rock and Ore collection. Large Eruptions of Fukue Information about large Quaternary eruptions (VEI >= 4) is cataloged in the Large Magnitude Explosive Volcanic Eruptions (LaMEVE) database of the Volcano Global Risk Identification and Analysis Project (VOGRIPA).